Some musical genres will always remain legendary just as the artists and events related to these. 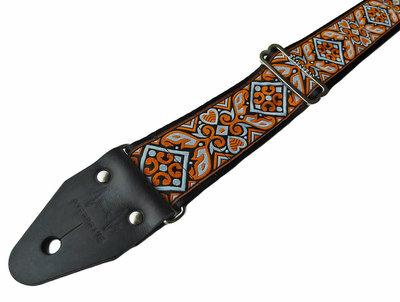 The vintage guitar straps from Overdrive Straps remind us of former times and honour our musical heroes from the past. 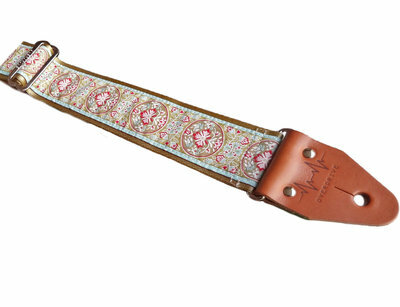 These beautiful guitar straps have fantastic prints that give your guitar a cool vintage look. Yet the vintage guitar straps from Overdrive Straps are anything but old-fashioned. 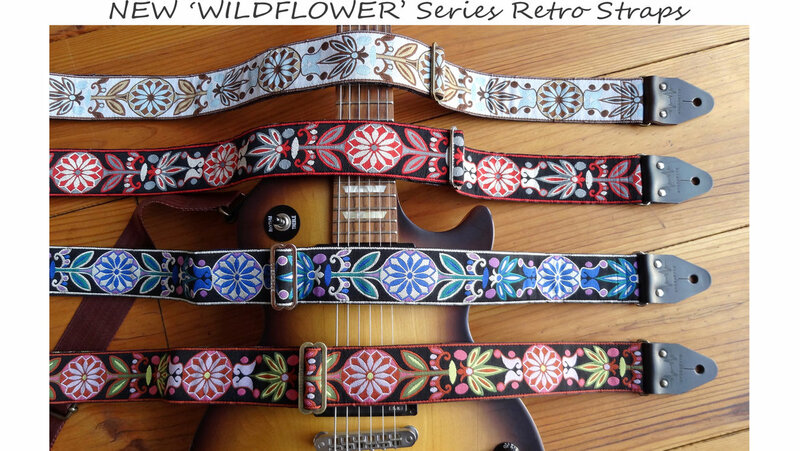 Many young artists rock vintage style guitar straps and wear them to magnify their look on stage. 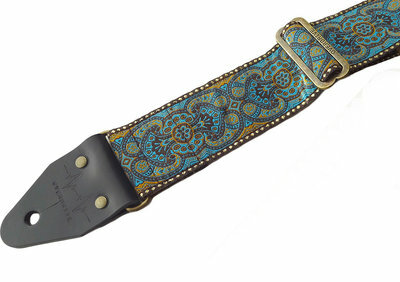 Furthermore, a vintage guitar strap has a timeless character and will never get boring. 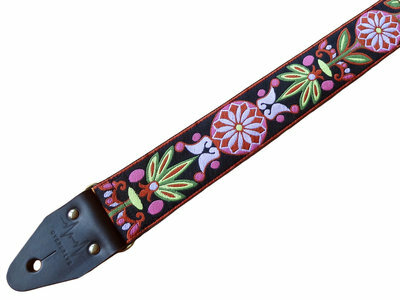 And last but not least: our vintage guitar straps are handmade and long-lasting. A vintage guitar strap should of course match your identity as an artist. Some guitarists therefore prefer unprinted seatbelt straps or a bold full leather strap inseatd of a very colourful jacquard guitar strap. 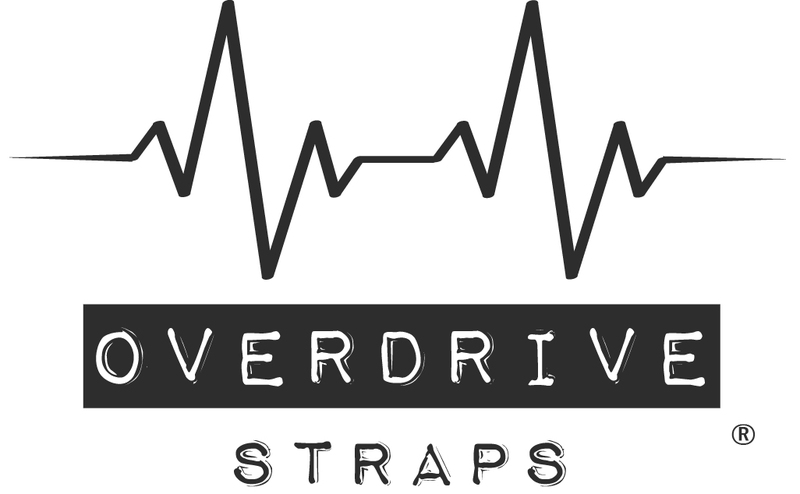 In the webshop of Overdrive Straps you will find a wide range of cool guitar straps so you can always find the guitar strap that you desire. 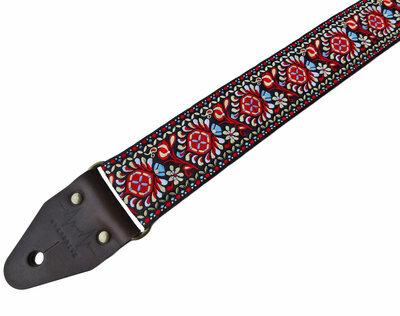 Whichever vintage guitar strap you choose, you will certainly not regret your choice. You can put together all guitar straps entirely according to your own preferences. This means you can personally determine important features such as seatbelt/leather and hardware colours and length. Through these option you can create your unique guitar strap. 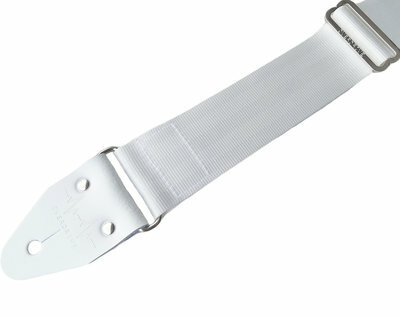 For vintage guitar straps, however, there are other important things that matter besides a unique look. 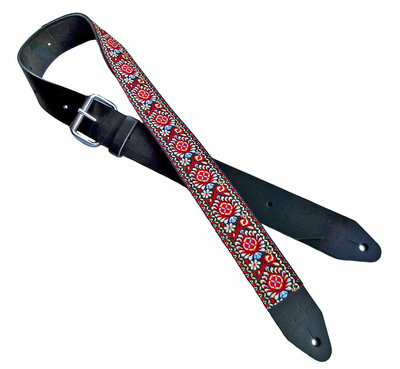 You expect a handmade guitar strap to have a long lifespan and excellent comfort. 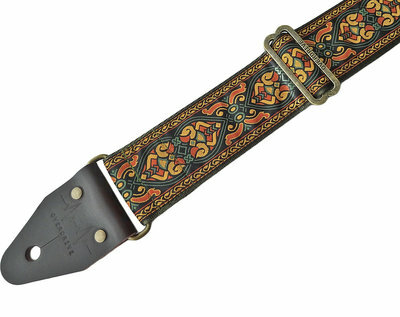 A long lifespan is vital in order to enjoy your vintage guitar straps as long as possible. That is why all our Overdrive Straps are made of sustainable materials such as strong safety seatbelt, heavy duty hardware and sturdy leather. This makes your guitar straps indestructible to even the wildest of gigs! The vintage guitar straps from Overdrive Straps meet the toughest quality standards and yet are very competitively priced. In our website you will find a wide range of handmade guitar straps, from solid neutral colored guitar straps to psychedelic or explosive colored guitar straps. Check 'm all out!